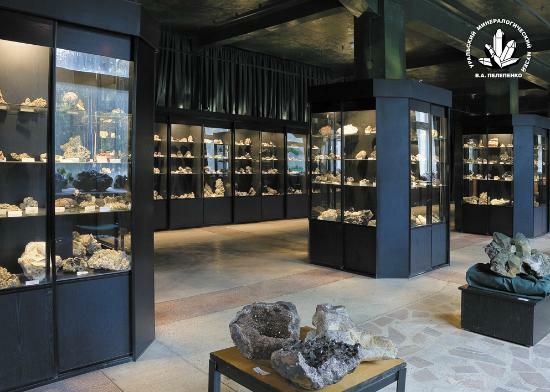 The Yekaterinburg Mineralogical Museum – image from Trip Advisor. I really like museums – the quirkier, the better. And there’s a gorgeously quirky gemstone and mineral museum tucked away in Yekaterinburg, in Russia’s Ural Mountains. Actually closer to Kazakhstan’s capital Astana than to Moscow or St Petersburg, Yekaterinburg is Russia’s fourth largest city, and probably best known for it’s bloody role in the Russian Revolution in 1918 – it’s where the Bolsheviks executed the deposed Tsar and his family. That spot is now marked by an elegant church and some photographs, and not much else. Look, I’m not going to tell you Yekaterinburg itself is a “must see”. In all honesty, it’s a bit ugly and unexciting, though there’s a few reasonable cafes and the art gallery by the river was nice, though nothing extraordinary. So what took me there? Easter, and a misunderstanding. See, when my sister and I decided to take the Trans-Siberian Railroad, we travelled over Easter, and we had originally scheduled that whole weekend on the train. But then we thought, Easter in Russia – that would probably be something really special, right? Well, maybe, but we never found out – turns out the Russian Orthodox Church uses a different calendar to work out when Easter is, and it wasn’t for another two months. So there we were, with a bit over 18 hours to kill on a Sunday in Yekaterinburg. Well luckily, as we’d already discovered in St Petersburg, the Russians share my passion for quirky museums. Most of the city’s offerings were closed for Sunday, but the Ural Mineralogical Museum was open. It was hard to find. We had the address from Lonely Planet, a map loaded onto the iPad at the cafe with the free WiFi, and we still managed to walk past it three times before we worked it out. We actually had to go through a rough-looking hole in a wall to get there, and we weren’t sure at all if it was the right place. To make matters worse, there were several young men in khaki uniforms looking very serious hanging about in the lobby. We gave them a wide berth and pushed through the door with the small “museum” sign on it. We’d found the gift shop. A lady there sold us tickets, then pointed us back out the door again to the lobby with the boys in uniform. Unsure, we proceeded upstairs. There were another couple of uniforms on the landing. In my best Russian, I pointed to a likely looking door and asked, “Museum?” They just shrugged. It was a bit intimidating. So we went through the door. Right away, a short, bustling, grandmotherly woman came over to us to collect our tickets. Yes, we were finally in the right place. The room was perhaps 15x40m with several rows of cabinets filled with sparkling mineral specimens of every imaginable colour. The information provided was all in Russian (and while I had learned words like “museum” and “restaurant”, I think it’s safer to say I don’t speak any Russian at all! ), but the semi-precious gems and highly polished stones were just beautiful. There were a number of other uniformed young men in here too, many looking at the displays with interest. Suddenly, the ticket lady bustled over to us again. “You speak English?” she demanded, in her wonderfully deep Russian accent. Yes, we replied, we speak English. “Good.” she said. “I speak little English.” And with that she proceeded to give us a thorough explanation of every specimen along one wall. She was really, really good! Very knowledgeable, and her English was better than she gave herself credit for. Several of the young uniformed men drifted over to listen too. When our guide paused for breath momentarily, one of them asked us, “Where are you from?” Before we had a chance to answer, our guide rounded on him. “You!” she said. “You speak English! What is the word for некоторые случайные минеральной? ?” The young guy looked slightly panicked – clearly he had no idea what the English word for некоторые случайные минеральной was. He pulled out his smartphone and tried Google Translate, but it didn’t help – I suspect it was the name of a particular mineral that she was asking for. Franticly he Googled some more, but our guide threw up her hands in disgust – clearly she didn’t have time for that nonsense, and she continued down the row of exhibits. When we reached the end, she gave a little bow, and we all applauded – she had been really good. We were then free to look at the rest of the museum at our leisure. As we drifted from glittering mineral to glittering mineral, the same young guy came over to us again. “I want to give you a present,” he said, and handed us each a pin from his hat. 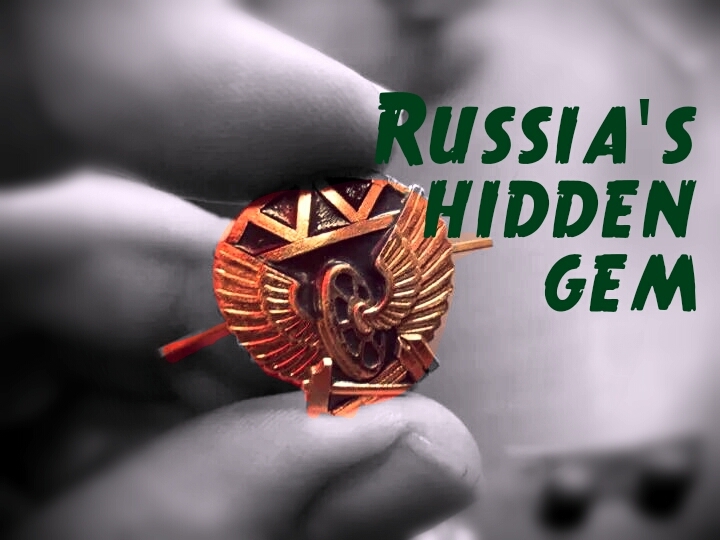 “It’s the official badge of the Russia Railway Troops,” she said. He and all the others wore the insignia on their shirts and hats – now we did too! The Ural Mineralogical Museum is a great way to spend an hour if you happen to end up in Yekaterinburg, but I’ll always remember it because of the wonderful bustling tour guide and the charming, generous railway trooper – even if we were scared of him and his friends at first! Have you ever had one of those experiences where people weren’t the way they first seemed? Or what about meeting someone interesting in a funny little museum somewhere? I’d love to hear about it in the comments below!